YouTube Drops the Axe on Monetization, Content Creators Make the Move—to Roku. How to Sell Your Movie (or TV Show) to Netflix, Hulu, Amazon and Others. Phil Autelitano and Mediarazzi are not affiliated with Roku, Inc.
©2018 Mediarazzi, All Rights Reserved. 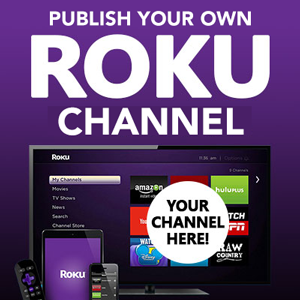 Subscribe to our Roku Publishers’ Newsletter and receive a free preview of this all-new program!